David graduated from the Royal College of Surgeons Medical School in Ireland and completed his initial residency training in General Medicine and Pediatrics in Dublin, Ireland. He subsequently trained at the University of Colorado Health Sciences Center in Denver, Colorado, and at Boston Children's Hospital. His initial postdoctoral research was performed in the laboratory of Dr. Jordan Pober, and a second postdoctoral fellowship was performed under the mentorship of Drs. Ramzi Cotran and Andrew Lichtman at the Brigham and Women's Hospital, Harvard Medical School. Dr. Briscoe's first faculty appointment was within the Division of Nephrology at the Boston Children's Hospital, where he established his research effort. In 2013, he was appointed Director of the Transplant Research Program, and in 2015, he became the first incumbent Casey Lee Ball Chair in Transplantation. Nicole is the senior administrator for the Briscoe Lab and the Transplant Research Program. She oversees all administrative issues, including grants management, for several PIs within the program. Nicole previously worked as a grant writer specializing in public health, human services, and higher education. She received her MA in Regional Studies from Harvard University. Johannes received his MD in 2012 from the Heidelberg University, Germany. During his training, he was a member of an International Research Training Group that fosters interactions between the Medical Faculty of Mannheim, Heidelberg University, Germany and the University of Groningen, Netherlands. He completed and received his Ph.D. at the University of Groningen on the effects of N-octanoyl-dopamine in alloimmunity, as well as in cellular protection in models of brain death and organ storage. He is particularly interested in transplantation immunology and is studying intracellular signaling pertaining to T cell activation, immunoregulation, and the prevention of allograft rejection. Jiwon received her PhD from Keimyung University, South Korea. Before joining the Briscoe lab, she was an assistant professor in Ehime University, Japan, focusing on epigenetic regulation of gene expression and signaling. As a visiting research fellow in the Transplant Research Program, she wishes to gain expertise in immunobiology and is interested in identifying novel immunoregulatory receptors and signals in T cells. Kaifeng graduated from Tongji Medical University School of Medicine in 1986. He worked in southern China as a clinical surgeon prior to moving the USA. 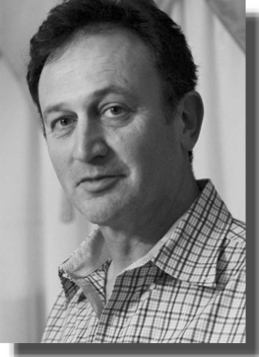 He trained in research, and specifically in the use of animal surgical models at the Universities of Michigan, Chicago and Emory, prior to joining Dr. Gary Visner’s laboratory in the Pulmonary Division at Children’s Hospital Boston. He works with the Briscoe laboratory and other members of the Transplant Research Program to support ongoing collaborations and studies using animal models of lung, heart and skin transplantation. His current interests relate to the analysis of distinct roles for regulators of the immune response, and how this is important in the development of chronic rejection. 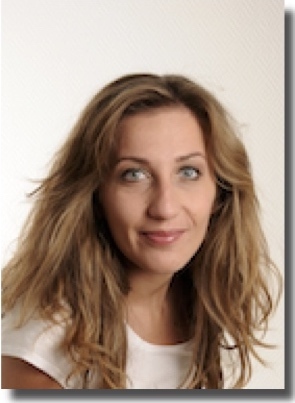 Chiara received her PhD in Medical Science at Uppsala University in Sweden in 2016. She worked on the multifactor system that regulates VEGF/VEGFR2 signaling pathways and their function during angiogenesis, permeability, and vessel maintenance. She is interested in endothelial cell signaling pathways in chronic transplant rejection and is studying how regulatos of mTOR signaling pathways downstream of growth factors such as VEGF influence the immunogenicity if the graft. The aim of her research is to discover new targetable pathways to prevent graft rejection. Evelyn received her MA degree in biology from Boston University in 1990. She has worked in several research areas at Children’s Hospital Boston over the past 15 years and has a special interest in vascular biology and orthopedic research. She specializes in immunohistochemistry and electron microscopy and is a co-author on more than fifty publications. Evelyn is an experienced senior technologist in the laboratory, and enjoys working with fellows in teaching general laboratory techniques as well as histology/immunohistochemistry. 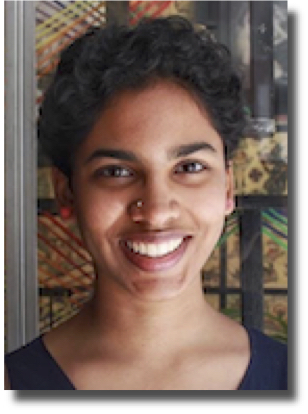 Mahima received her Bachelor's degree in Neuroscience and Behavior from Mount Holyoke College in 2018. As a research technician in the Briscoe Laboratory, she assists with the generation and management of transgenic animals and is involved in the maintenance of laboratory protocols. Mahima also facilitates the isolation and growth of endothelial cells as well as the processing of patient samples for multicenter studies. 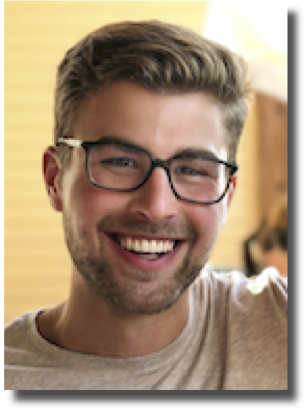 Evan received his Bachelor’s degree in Biology from Brown University in 2018. He joined the Briscoe laboratory as a research technician to expand his understanding and to develop expertise in human immunological assays. He assists with FACS, endothelial cell culture, and immunofluorescent staining. Evan is also involved in the processing of human samples for multicenter studies in the laboratory. Chris served as the Briscoe Laboratory Manager and as the Manager of the newly formed Pediatric Transplantation Research Laboratories from 1996-2007. During this time, Chris attended Law School and passed the Massachussetts Bar in 2006. He currently works in the Intellectual Property Office of Children’s Hospital Boston as a member of their Legal team. Kerith served as a technician in the laboratory from 2001-2003. She left the laboratory to re-enter University as a graduate student in 2004 and she currently works at The Institute of Fine Arts in NY. Katiana served as a technician and as Laboratory Manager from 2006-2011. During this time, she performed a Masters Thesis in Biotechnology at the Harvard Extension School, and was awarded a Masters in Liberal Arts in Extension Studies from Harvard University in 2011. She left the laboratory to join Pharma and develop her career in Clinical Studies. Kayla served as a technician in the laboratory from 2013-2014. She left the laboratory to join a company developing gene therapy technologies. Megan joined as a research technician in the laboratory to learn and develop expertise in basic immunology and endothelial cell biology. She became the lab manager in 2014.